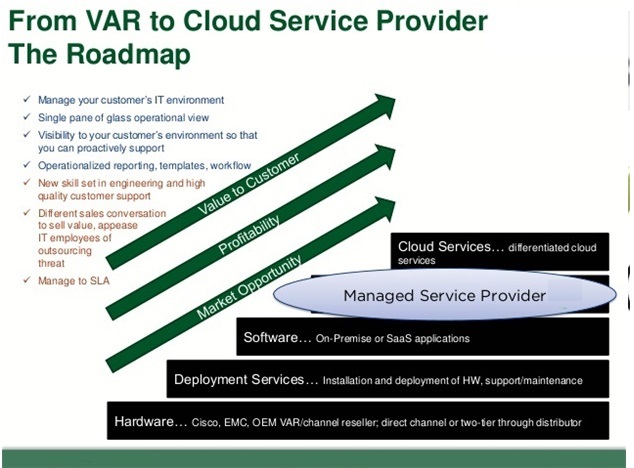 How different are Cloud Service providers vis a vis general IT service providers market? The question seems to be very intriguing as we can see that both sounds similar and still there is a question which is differentiating. But, the fact is that Cloud service management is meant for Cloud Provider ( IaaS, PaaS, SaaS) to their end clients. We need to understand first, what is Cloud Infrastructure? to answer the question. Every enterprises have their data centers to manage their tons of information resources. Earlier, they had to own these servers ,but, now they can outsource to third party Cloud providers on a pay as you use basis. This helps the enterprise to save on cost and reduce overhead expenses like Staff expenses. There are Cloud service providers who manage this cloud infrastructure on behalf of the Cloud providers for the enterprises. Cloud Infrastructure management includes setting up a Cloud architecture to migrating data centers to Cloud. Followed by cost performance optimization to system monitoring, traffic management and security. In addition, there is another service for managing DevOps (Development and Operation) for developing software on a cloud. Services include source control and agile development tools integration to automatic code deployment. General IT service providers are the superset to the Cloud providers. IT managed services includes software development to implementation, followed by support and monitoring. These services are majorly done for clients having on premise servers. Cloud managed services needed a bit different expertise than on premise IT managed services. Cloud managed services are dependent on the products and service features (EC2, S3, SQS, Cloudfront, Mapreduce etc.) provided by different Cloud Providers like Amazon Web Services, Azure, Rackspace, Joyent, IBM SoftLayer etc. IT managed services are dependent on the operating system (like windows, linux, Mac etc) , development skills (PHP, .Net, JAVA etc.). Complete IT based technology services contribute around $4 Trillion market and out of which Cloud providers contribute $16 Billion to the market. The most important aspect to the fact and figures is that the Cloud Computing business is in the nascent stage of the business cycle. Amazon Web Services is the market leader and contributes 30% of the total revenue. Azure has the fastest growth of about 96% year on year, followed by Google at 87%. The global IT services market grows at an average rate of 2.5% to 3% annually. Whereas, Global Cloud services market grows at an average rate of 50% annually. General IT services companies are slowly diversifying their service offering to Cloud computing services to stay in the competition and reap the maximum benefit from the growing market. Cloud computing is expanding its wing into other form of latest technologies like Big Data analytics, predictive analytics, Internet Of Things. Where IT services market is gradually approaching the aging market ,but, Cloud computing is slowly taking its acceleration with the growing economy.